Over the last few years, cold-calling has been the subject of an intense debate in the business and sales community. Proponents say that turning a random stranger into a prospect with a phone call and sheer will is what separates the sales professionals from the amateurs. Opponents say that in the digital era, it’s an unnecessary waste of effort that could be better spent on more up-to-date techniques. Both opinions have merit, but this debate is slightly misguided, because the real lead generation secret sauce today is the cold email. Cold email cherry-picks the best of both sides of this debate. It allows you to play the “numbers game” of cold calling by reaching a huge number of people, without the awkward feeling of interrupting a stranger on the phone. Done correctly, cold emailing can add a serious boost to your freelance writing business. But you have to approach it the right way, or you’ll invest a lot of time for mediocre results. I’ll outline each step below and talk about what’s involved, then help you put it all together to begin applying the technique. What is cold email? Why should freelance writers use it? 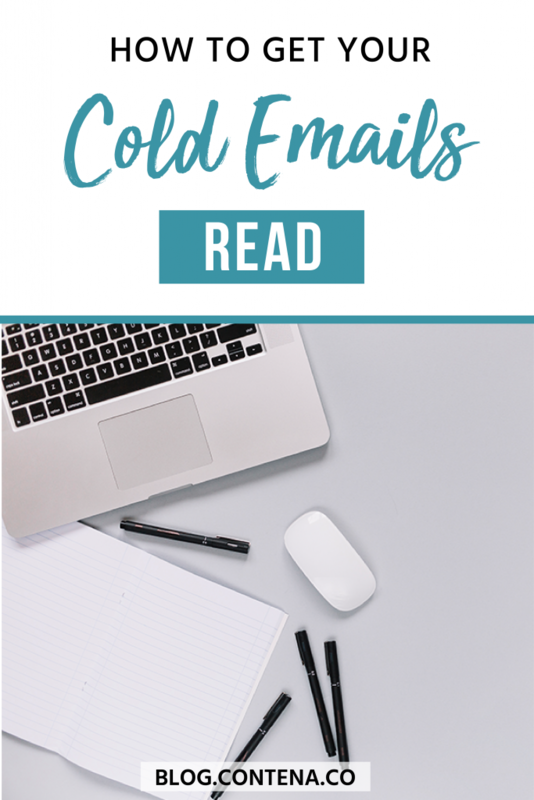 As the name implies, cold email simply refers to reaching out to someone who doesn’t know you, which makes them a “cold” connection instead of a “warm” one, where they are familiar with you (or at least your company). Cold email is effective simply because of the way communication has evolved in our society. Think about it – when was the last time you actually purchased something from a telemarketer? The evidence isn’t just anecdotal. Households continue to shed landlines at a rapid rate, and 19 states have already voted to allow phone companies to end landline service. Meanwhile, millennials, the notoriously phone-averse generation, now make up the largest percentage of the U.S. workforce. HubSpot says that 86% of business professionals prefer to communicate by email. Put these factors together and the picture is clear: Lead generation is shifting away from cold calling and towards email. Entrepreneur Justin McGill relied on cold email for a majority of the business that grew his digital agency to seven figures in revenue. The first step in cold emailing is figuring out who to email. To find business writing gigs, you want to reach people who are either actively hiring freelance writers or would be able to if their company had a need. If you have an existing niche or specialty, do some research to find companies in that industry. Check out their websites and search for their employees on social media. If you’ve picked a niche like healthcare or technology, there might be other industry-specific titles to search for. After you find the names or social profiles of the right people, you need their email address. This might seem difficult, but the powerful archiving functionality of the web makes it easier than you might think. The topic has been covered at length elsewhere – I like HubSpot’s guide, which breaks down 3 ways to find email addresses. You can also use an online tool like VoilaNorbert. Don’t spend a ton of time building your list – a focused hour or two of looking is all you need in a single session. Although they’re called cold emails, in this phase, you’ll warm things up by learning about the people you are going to email. You want to find out information like their work history, any projects they’ve been involved with, their current challenges in business, and more. 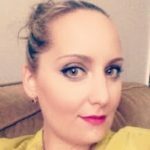 Read their social media posts and profiles, check out what other work they’ve done, and see what kind of brands and influencers they follow. Again, don’t get bogged down here. Too many people who set out to cold email will fritter away their time researching and never send a single message. I recommend spending no more than eight to ten minutes on research per prospect. You should aim for even lower than this. If you find yourself drifting off into research, set a timer. Constantly remind yourself that researching isn’t going to help you succeed as a writer – sending emails will! Without a good subject line, nothing else you do really matters, since your intended recipient may not even open your email. Nearly 7 out of 10 email recipients will decide whether a message is spam or not solely by the subject line. Spend time making it a good one. Writing a great subject is more of an art than a science, and everyone has different opinions on how to do it well. Remember that you are trying to get them to read more by opening your email. You don’t have to give away everything in your subject. A vague or broad question can be suitable to build intrigue. For example, something like “Have you considered this type of writer?” doesn’t tell the prospect exactly why you’re writing – but that can actually be a good thing, since it may encourage them to open the email. Remember not to use words and symbols in your subject that are often marked as spam by email filters, including “free,” “cash,” “exclusive,” and exclamation marks and dollar signs. Experiment with several different styles of subject lines and see what works best (more on this later). The final step is completing the body of your email. Here is where you need to make sure you are providing something that is useful or valuable to your recipient. Put yourself in the shoes of your prospects. “I’m a freelance writer, got any work for me?” isn’t a very compelling case for getting projects. Instead, after a quick one-sentence intro and explanation of who you are, give them something of value by highlighting the benefits of working with you. Talk about other jobs you’ve done successfully for companies in their niche, citing specific sales or marketing statistics that came about as a result if possible. If you don’t have that kind of past portfolio, try to find other examples of how writing has helped companies like theirs succeed. You could also talk about your previous experience and knowledge and how it applies to their company. Again, the key is to give them something of value. This makes them more inclined to consider your offer, and will probably separate you from other writers they’ve spoken with. Keep it short. The fewer sentences the better. A single paragraph is all you should need here. If you conducted research properly, you probably came across a similar problem or challenge in your niche or industry. Once you’ve written a compelling case for how you can help them solve that problem in a cold email, it’s likely that you can reuse much of that case for the next one. The most efficient cold emailers will use the same template with minor tweaks to it, which keeps things moving quickly without sacrificing the personal touch. Of course, if you have a strong connection to one specific prospect, you can take time to edit this email more heavily. End your email with a strong, clear call-to-action or next step – ask if they are currently seeking any help with writing or when they may anticipate needing to. If you’re responding to an opportunity you know is available, ask to set up a call or meeting. Logging your results will help you determine which methods are working, which ones aren’t, and how much day-to-day activity you are really putting in. It’ll help to track the time you spend emailing versus the number of emails you send. This will tell you how efficient you are with your time – if you see that you’re spending hours and hours on cold email but only sending a handful of them, you know you need to be more focused and effective. Tracking will also allow you to see the results of your efforts and adjust accordingly. If you’re getting a lot of opens but not many responses, you’ll know the issue is probably your email body. If no one is opening your messages, you may need to work on your subject lines. If your emails aren’t even being delivered, your methods for finding contact info may need adjustment. I recommend HubSpot’s CRM and Sales tool – both are free to start using, and premium versions are offered at a reasonable price. You’ll even get a notification when your emails are opened, allowing for timely follow-up messages. Even if you just use a simple spreadsheet, you really need to track your cold email activity so you can use the data it generates to make yourself better. With practice, you’ll settle into a rhythm and style that works for your needs. You can scale your cold email volume up and down depending on how busy you get, but I recommend making it a priority to send some out every week. If you send a sufficient quantity of cold emails, track your efforts, and continuously improve, before long you’ll be rewarded with plenty of paying assignments.